The canyons of the Escalante. Such a lovely place! 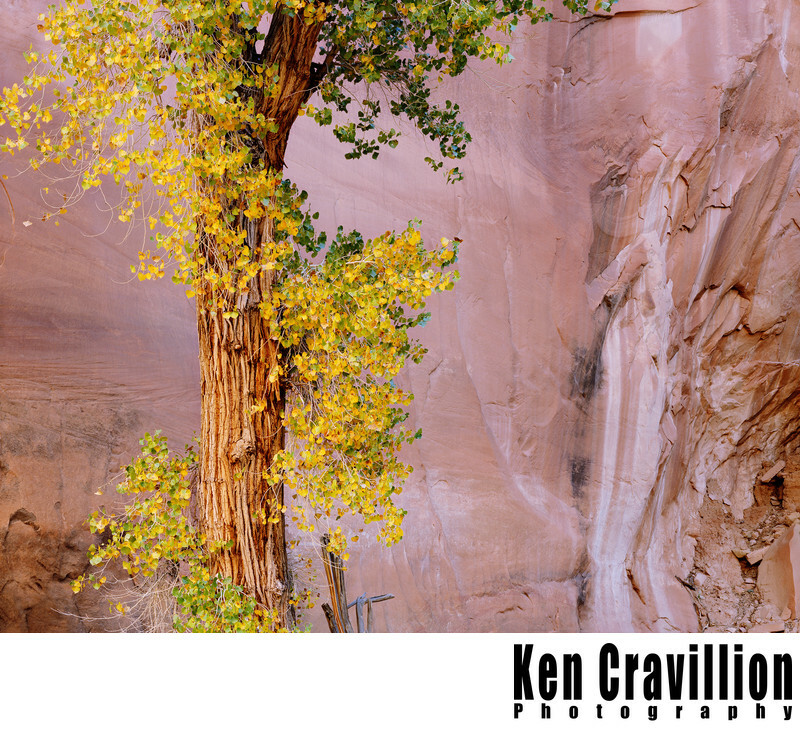 This particular scene with a cottonwood tree and sandstone wall was found in Willow Gulch just off of Hole in the Rock Road. I composed this with my Shen-Hao large format camera and Nikkor-M 300mm lens and Fuji Velvia film.